How much should I set aside for that precious stone? If that thought has crossed your mind, then you’ve come to the right place. 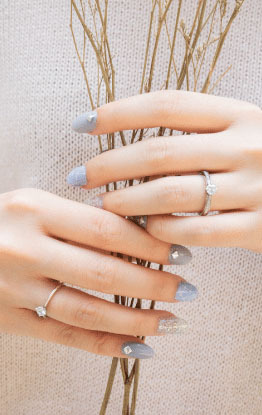 We’ve all heard the different sides to how much an engagement ring should cost. As heavily advertised, ‘diamonds are a girl’s best friend’, so it shouldn’t be surprising to hear some wedding gurus advise that a diamond ring should cost up to three times the poor chap’s salary. If you feel like you could be stuck in a similar predicament, fret not, we’re here to help. By now, you should be at either of these two stages, a) Looking to propose and have stumbled upon a mountain of diamond information including the 4Cs, or b) Your partner has hinted at future plans and a shiny stone and you’re basically clueless for the most of it. Regardless the stage you’re at, it’s probably time to get started on your learning journey. Firstly, align your budget with the 4Cs. Of the four Cs, Carat holds the most priority both in terms of pricing and of course, her fancy. This is followed closely by Colour and Clarity. Cut is usually overlooked as it has the least variance, and most couples would automatically go for Ideal or Signature Ideal. However, it is imperative that Ideal and Signature Ideal Cut will give the better and best brilliance respectively. The typical selection for Colour ranges between D, E and F, as they still look close to colourless to the naked eye - however do note that as you go lower down the alphabet, the colourless disparity becomes increasingly obvious. Thus it is not advisable to settle for anything lower than F (G and H onwards). For Clarity, FL (Flawless) and IF (Internally Flawless) are usually for those with a bigger budget and aiming for perfection. Generally, any range between VVS1 (Very, Very Slight Inclusion) VVS2 and VS1 would look good to the naked eye. Anything below VS2 would simply appear ‘unclean’. I’ve got my budget, now what? Your first order of business would be to find out what’s an acceptable Carat size for her royal highness (your future fiancé). Once you’ve established the requirements, it’s time to begin intensive researching. You can head to our diamond selection section and play around with the filter to see a rough gauge of the pricing of diamonds in the market. Find three range of filtered 4C settings that fit your budget and keep a record of them. Those should more or less be the range of diamonds that you are looking to purchase. 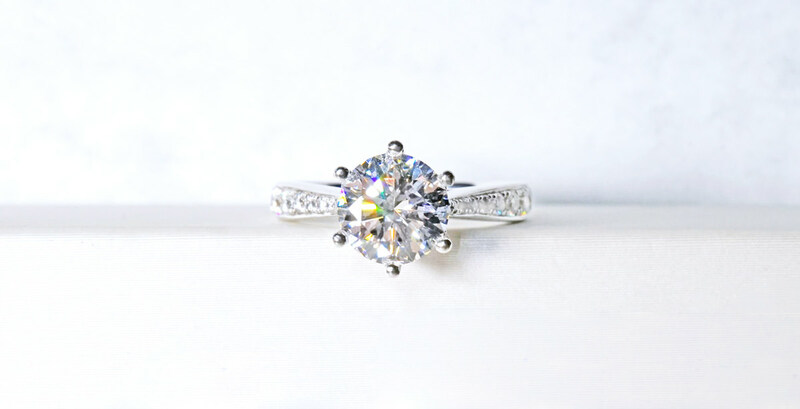 All you have to do now is to find a setting that she might like, so don’t forget to account for that when allocating your engagement ring budget! What if I am still unable to find a diamond ring that fits my budget? In the event that you are still unable to find a proposal ring that falls within your budget, you may consider some other alternatives to the standard Round Cut diamonds, which can cost significantly lesser such as the Princess or Emerald Cut diamonds. Some perks include the rarity of having such diamond rings (most couples still choose the round cut), and it could be something special between you and her. Show her some examples of Heart-shaped diamonds, Cushion Cut or even the Baguette diamonds, and perhaps she may even want them! The best option would be going to view the diamonds and settings together, and you’ll be able to get her opinion and what she fancies too. Ultimately, this is a large-ticket item, and the decision for a future together begins from the proposal and engagement. At the end of the day, love is, afterall a compromise of your wallet and her desire. To view some of our available settings, click here.